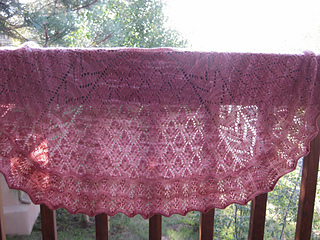 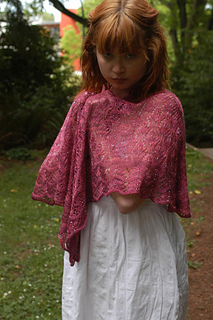 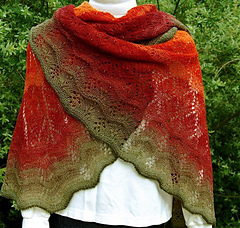 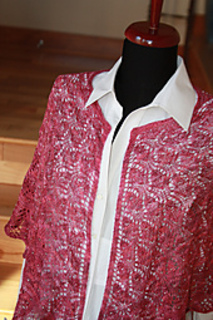 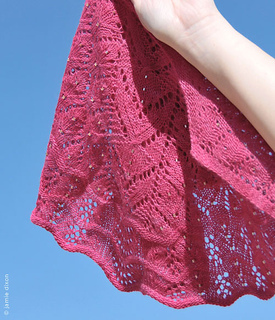 Aphrodite is a lovely three-panel shawl knit from the top down. 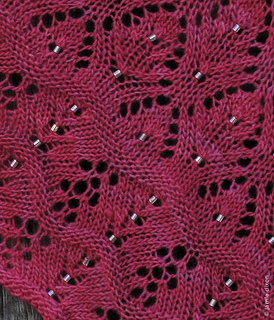 Everything about Aphrodite is ephemeral and filled with grace, from the flow of lace patterns down the panels, the edges that accentuate the movement of the patterns as they round the corners, the subtle beadwork. 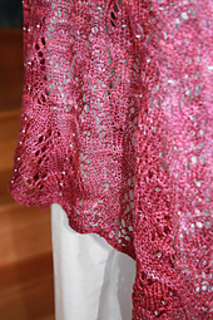 In addition, this pattern is much easier to knit than you would think. 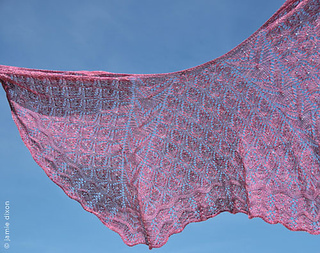 Small (large) size: 26 (37 ½)” / 66 (95) cm across widest point of lower back; 12 (16)” / 30.5 (40.5) cm long at center back; 14 (21)” / 35.5 (53.5) cm long at center diagonal. 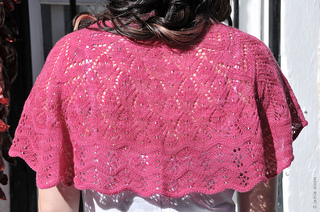 All measurements are after blocking.